Havent been posting anything for years... Good to see some old names in the forum. 1, I like the square color picker in AR, it allows me to match colors with certain value (better than Photoshop). However the color slider, although it looks simple and clean, seems totally useless to me because I cannot see what color I am going to get on the slider, especially the RGB slider! So please add color to color slider! The function should be more important to how it looks. Please also make the color picker a bit smaller... it takes too much space. 2, Color balance filter please! This filter is very important to many digital painters. 3, As far as I remember, in AR4 we when we right click with a certain brush, we can get the preset list of the tool (like Photoshop brushes), allowing quicker brush picking. But now we will need to click on the preset pod, then click group, slide down for the brush... can be really bothered. You can add images by clicking the little 'tree in a painting' icon above your editing box. It sounds like you're using the Docking Mode interface, so my answers will assume that. 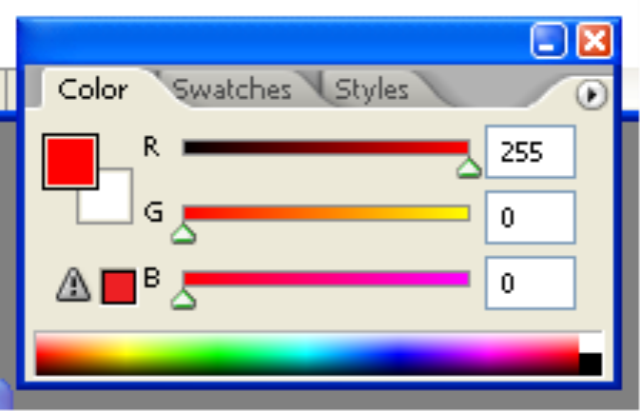 The current color in the Color Picker is shown in the little box next to the slider. If you dock it, the entire color picker will shrink to fit the docking window (you can then toggle between the visual and the number input displays). We have had requests for generally being able to adjust panel size, and we're looking into whether that's possible. There is no automatic filter, but the Adjust Layer Colors filter is still in ArtRage 5, it has just been moved from Edit to Edit > Filters. If you're in Classic Mode and right click on the Preset pod, you get the quick menu of options, same as you did in ArtRage 4. Nothing else has changed, just the size of the preset panel (groups were always there, but nobody noticed them and it took an extra click to change them). Nope, doesnt seem to allow me to insert image still... There is always a red warning icon after I select upload. If I uncheck 'retrieve remote file' from the upload menu it seems to work again... or not? This is what I meant by being able to see colors ON the slider. In AR we can only see a particular color only after moving the slider (as you say, that little color swatch thing), however the result cannot be forseen before hand. For HSB, well, it is somehow managable; but RGB color is difficult, Red+Green=Yellow. If there were a color preview ON the slider, I could know what I am going to get instead of randomly testing the slider result and let the color swatch tell me if I was wrong. When we paint, we are used to see the color of the slider. Numbers or words are useless without indication of colors. And color is the core of painting digitally, we need to pick color more than anything else. I believe the color slider in AR can be made better! But so far the slider (how small of the problem but vital) is one of the biggest reasons for me not to use ArtRage... because it slows me down a lot. As for the Color Balance filter... it works as important as color adjustment. It creates warm and cool variation for light, midtone and shadow. 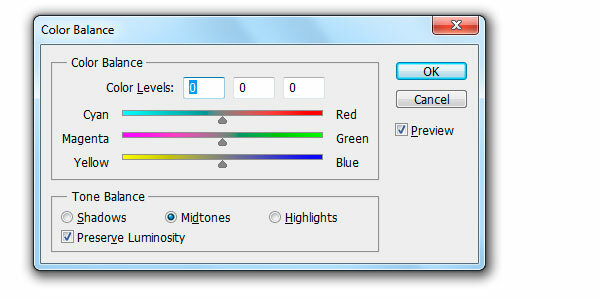 It is one of the most useful color altering tool in Photoshop. It is the second biggest reason for me not to use ArtRage because AR has paint thickness whereas Photoshop does not. When adjusting color in PS I lose the texture and thickness. And so many times I need to use color balance! I remember there was a AR fan uploading his own color balance filter. But I wish this could be built-in in future. Thanks! As for the presets, thank you for your hint. But I found something unusual: I have deleted those 'fun' 'natural' preset folder (from the contents folder) since I personally think they are not fun or natural at all... The right click of the folder shows the correct folder, whereas when you CLICK on the preset pod, the 'fun' 'natural' preset remain there. I am afraid it is one of the program default and I am never going get the annoying fun natural away.